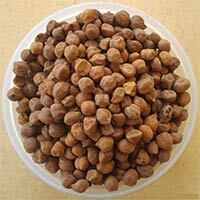 Roasted Gram or whole black grams are popularly known in English as chickpeas. 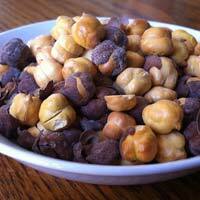 They are very good sources of fat, iron and vitamin B. 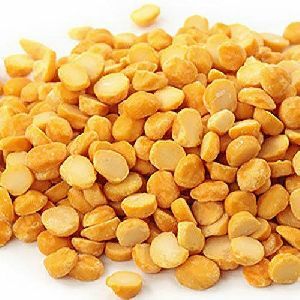 We produce best quality and adequately Roasted Gram so that, the essential nutrients are not vapourised. 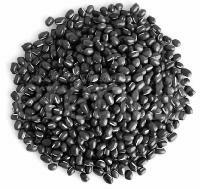 This is a very good source of Iron and vitamin B and should be consumed on a daily basis. They can be availed in bulk or marginal quantities. The Bengal Grams , we offer, are appreciated for their rich taste. The Bengal Grams are consumed in the form of whole dried seeds prepared by splitting the seeds in a mill and separating the husk. Our Bengal Grams are properly cleaned and packed in hygienic food-grade packing keeping their freshness and purity intact. 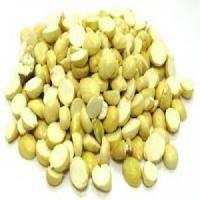 We are a prominent Bengal Grams Manufacturer, Exporter and Supplier in India.